Rare might be one of the most famous developers in video game history. Those that grew up playing Nintendo consoles regard them with great affection because they were responsible for some of the finest games ever made. Don’t believe me? 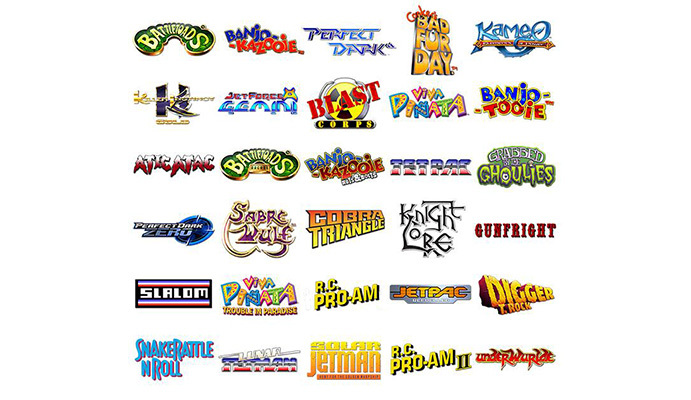 Look at this list: Battletoads, Donkey Kong Country, Killer Instinct, Blast Corps, Goldeneye, Perfect Dark, Banjo-Kazooie, Conker’s Bad Fur Day, Viva Piñata and many more including sequels that often matched or surpassed the original! Sadly they aren’t quite the powerhouse they once where which why this compilation was warmly received when it was first announced. 30 games spanning the 30 year history of Rare & for a low price. Sounds almost too good to be true…and it was to a point. 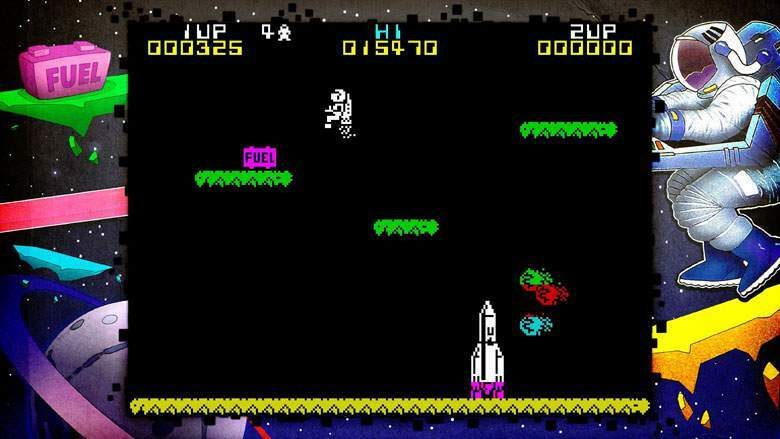 The 30 games are: Jetpac, Lunar Jetman, Atic Atac, Sabre Wulf, Underwurlde, Knight Lore, Gunfright, Slalom, R.C. 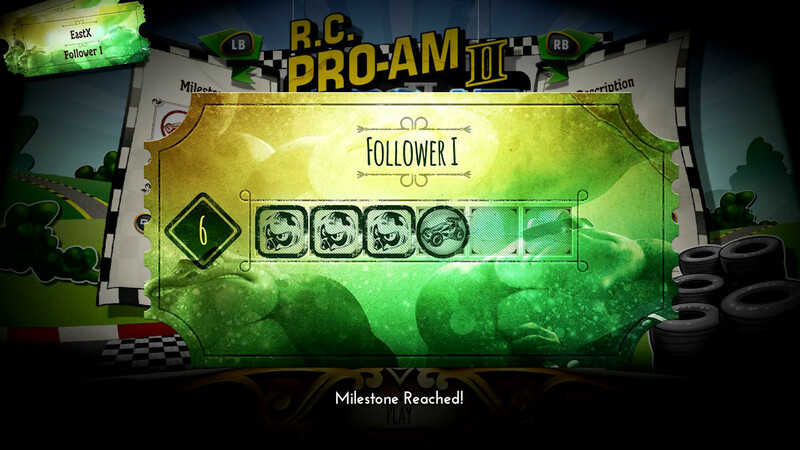 Pro-Am, Cobra Triangle, Snake Rattle ‘n’ Roll, Solar Jetman, Digger T. Rock, Battletoads, R.C. Pro-Am II, Battletoads Arcade, Killer Instinct Gold, Blast Corps, Banjo-Kazooie, Jet Force Gemini, Perfect Dark, Banjo-Tooie, Conker’s Bad Fur Day, Grabbed By The Ghoulies, Kameo: Elements of Power, Perfect Dark Zero, Viva Piñata, Jetpac Refuelled, Viva Piñata: Trouble in Paradise and Banjo Kazooie: Nuts & Bolts. It’s quite a list but does contain many notable absences such as Goldeneye & Donkey Kong Country. Still with that being said it is a comprehensive collection with many great games. I wasn’t too impressed with the Xbox 360 games being just backwards-compatible versions. 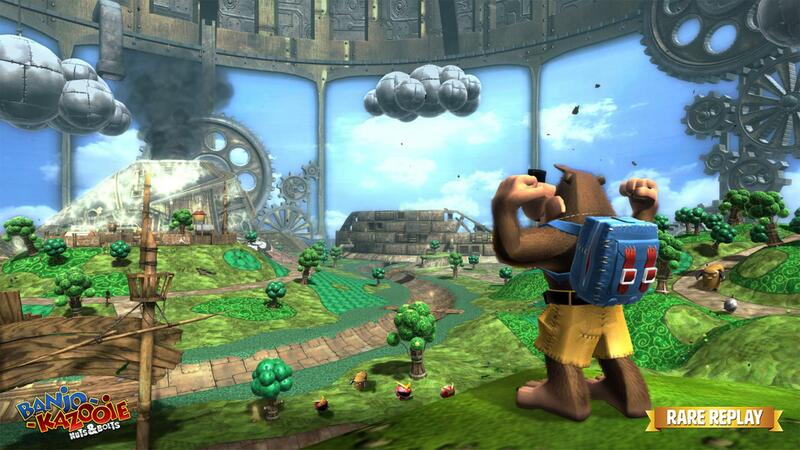 With games like Banjo Kazooie, Tooie, Nuts & Bolts and both Viva Piñata games long finished with every achievement & challenge completed there is little incentive for me to go back & play them again. This is particularly frustrating when they actually included a reason to go back to those games…the stamp collection. Rare Revealed is over an hour of behind the scenes footage that features many of the companies’ major & unreleased games. By completing in-game challenges you are awarded stamps which increase your player rank & unlock bonus features. To get every games stamps you will have to finish each game unless you’ve already done it on the Xbox 360. In that case the stamps are handed out as soon as you load the game up…so there is no incentive to go back & play them again at all. 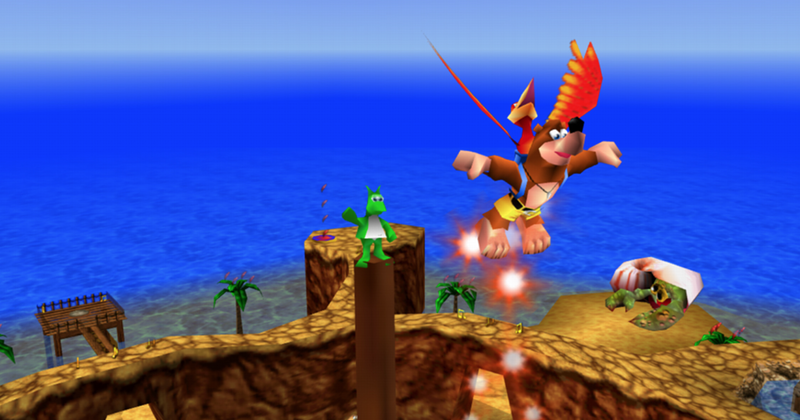 To make some of the notoriously difficult early games easier Rare added a number of new features while trying to preserve gameplay as best as possible. All pre-N64 games have a rewind feature of 10 seconds which can be the difference between life & death. These games can be saved at any point & some have an infinite lives cheat just to make them that bit more bearable. The snapshot feature takes small sections of the early games & sets challenges for the player (mainly collect as many points in a set time as you can). 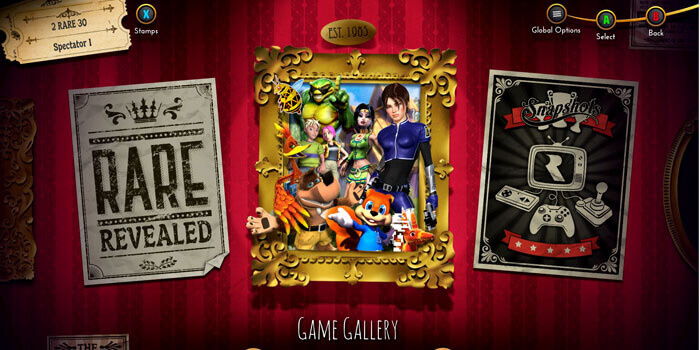 It’s difficult to say why you should or shouldn’t buy Rare Replay. As value for money goes it is definitely worth it but many of the early games are just not much fun. It really depends on what you want to play within the collection. If you’ve many of Rare’s games then this is perfect for you, those like me who’ve been playing them most of your life won’t get quite the same amount of enjoyment out of it.